At Advance, we are lucky enough to have some international volunteers. Adrian is from Central America, and supports two customers in Hackney with learning difficulties. He enjoys the work, and believes it has helped him grow as a person; ‘I’ve learnt how to be confident by myself, and to learn patience. 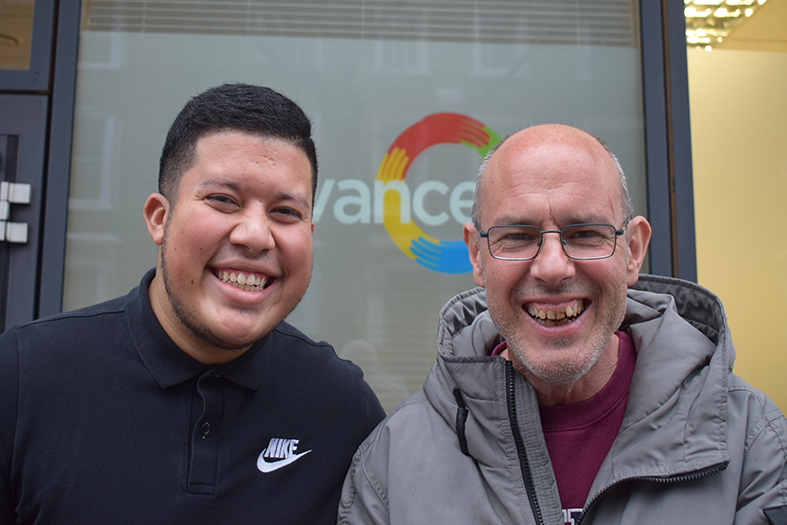 You are living with people with disabilities so you learn how to work with them and how to handle the unexpected.’ Adrian also believes that his volunteering has helped his customers’ socialising; ‘it gives people the opportunity to socialise in groups and meet other people. It allows people to go out of their comfort zone, and feel less isolated’. Although he doesn’t deal with the more personal aspects of support work, Adrian is a welcome companion and guide for trips out, hobbies and social activities – him and his customer Tony can usually be found playing pool and eating at their favourite café. Advance is very grateful for all of our wonderful volunteers, and we wish them all a happy International Volunteer Day!